West TN's Premier Indoor Inflatable Party Center! An exciting 13,200 sq. 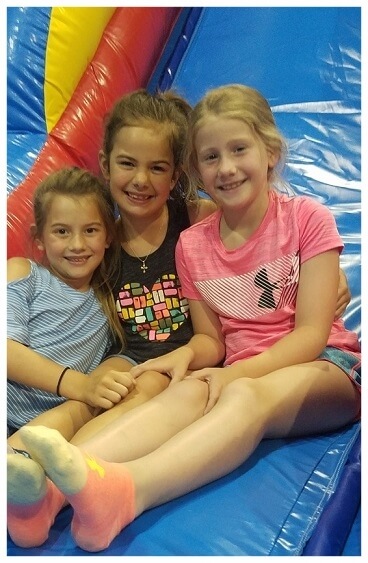 ft. family owned, climate controlled indoor inflatable jump center! FunZone is a fun filled safe environment where children can jump, bounce, slide and climb all year round. Parents, book a party, sit back, relax and enjoy. From start to finish our staff is here to attend to all your party needs. We also offer Open Jump which is our public bounce time for children 2-12 yrs. old. PS. Don't forget your socks and waiver! Let the fun begin in our giant play areas for kids 2-12 years old. Our two hour play sessions are open to the general public and will keep your child entertained for hours! A budget friendly party option that is available during Open Jump hours. While this is not completely a private party it still offers the same amount of fun! Our most popular party option. Enjoy your 100% private party while our staff takes care of everything from start to finish. The kids will have a blast while you relax! Summer for children should be a time for fun! Our program is designed to offer a rich variety of discovery experiences with fun as the central theme. Fun Zone Day Camp provides a balance of activities to help each child develop confidence, motor skills, and friendships that will last a lifetime. We create the environment that enables children to discover their interests and develop their special gifts and talents..